November 10, 2014 – Portland, Ore. – This November, get ready for the bicycle event of the season. The Bicycle Ball is a fundraiser for the nonprofit, Community Cycling Center. 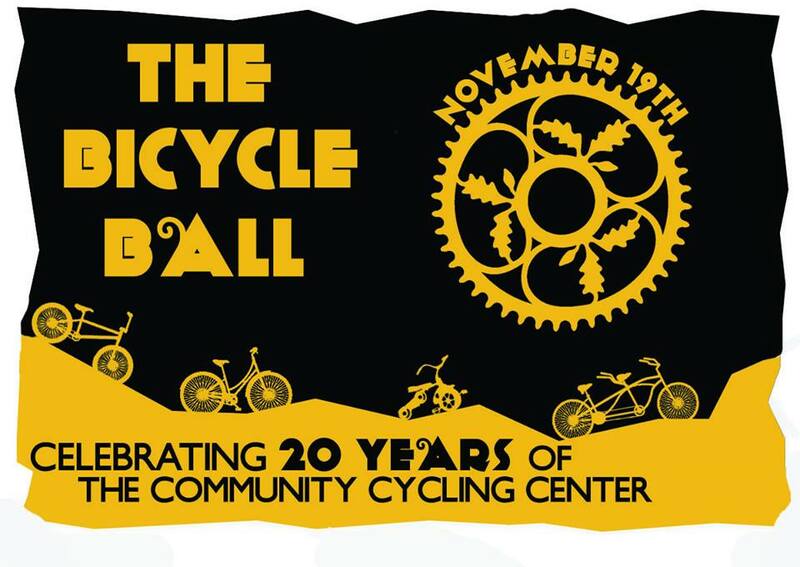 Celebrating 20 years of broadening access to bicycles, the Cycling Center is hosting this fundraiser to support the next generation of bike riders in Portland. The theme of this party is inspired by the 1920s décor of The Secret Society, with Dystopia Vodka prohibition-era cocktails, photo booth, and vintage-style live music by the Swingtown Vipers. During The Bicycle Ball, a silent auction of balance bikes crafted by friends of the Community Cycling Center will be offered to event attendees for bids. After the Swingtown Vipers, music sponsor XRAY FM will spin records to close down the party. Bring your dancing shoes! Tickets: Tickets may be purchased online via The Secret Society’s website. $12 advanced, $15 day of (cash only at event). Ticket price includes a Dystopia Vodka prohibition-era cocktail.